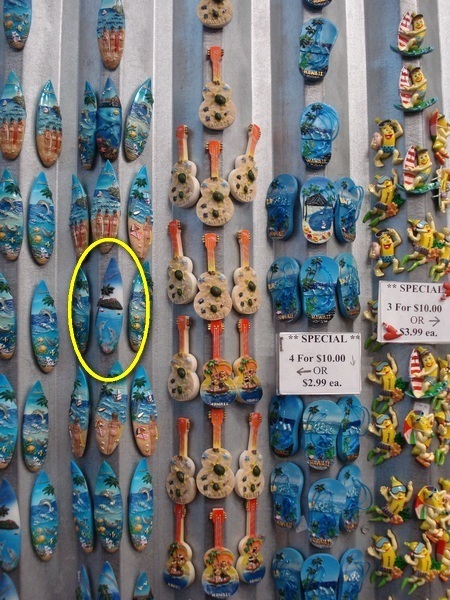 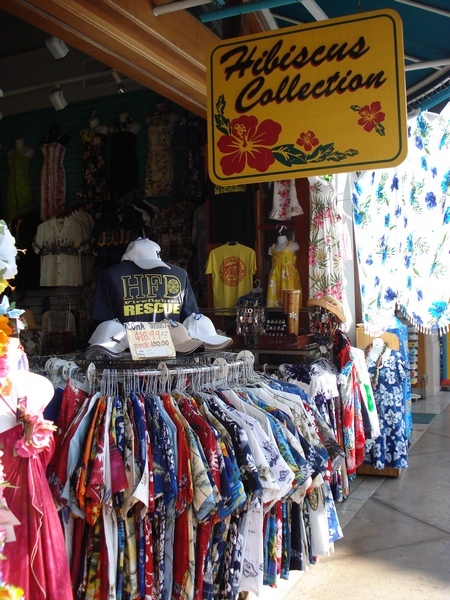 On our first full day of sightseeing in Oahu…. 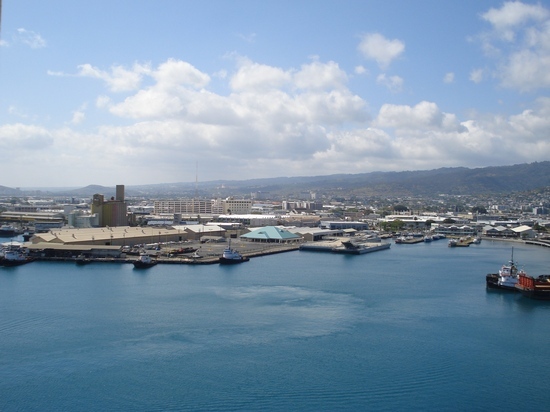 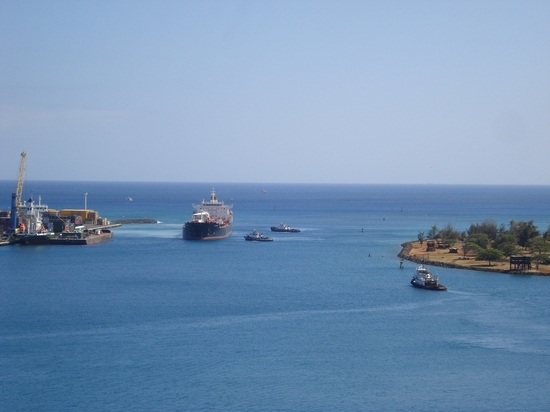 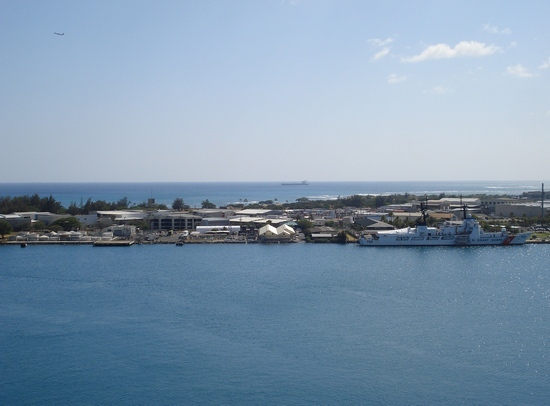 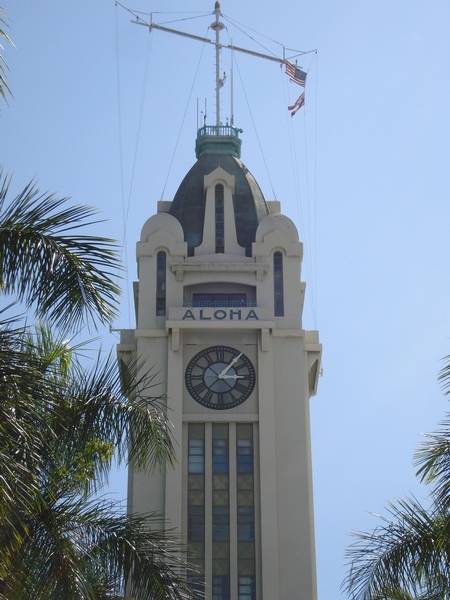 Foremost on our list was the Aloha Tower, a lighthouse along the Honolulu Harbor since September 11, 1926. 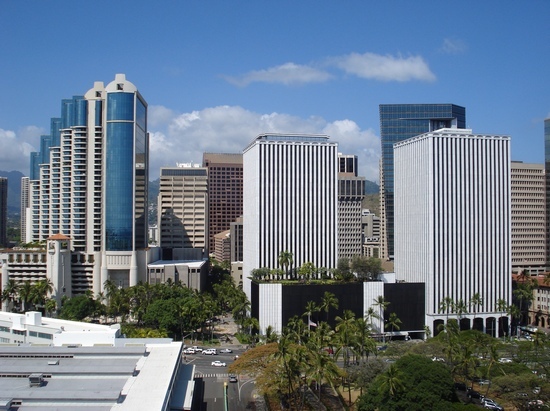 For nearly four decades, it was the tallest building in Hawaii. 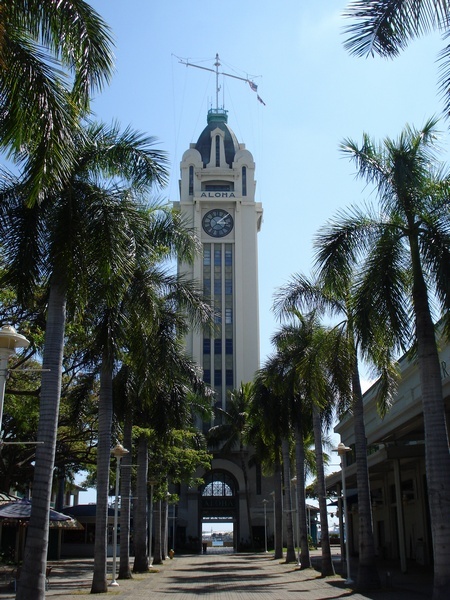 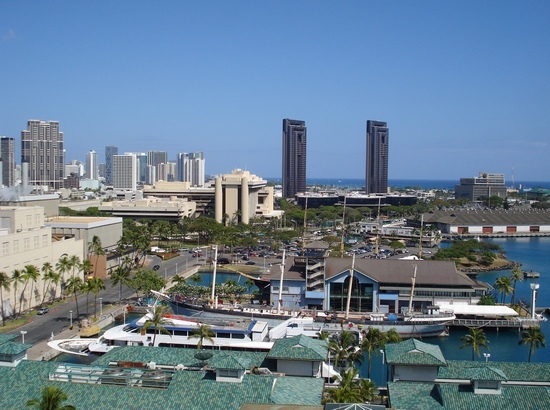 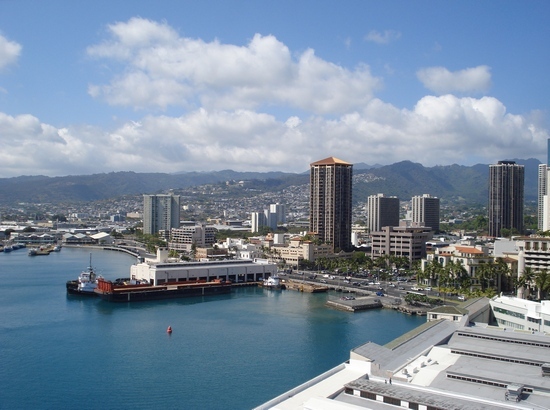 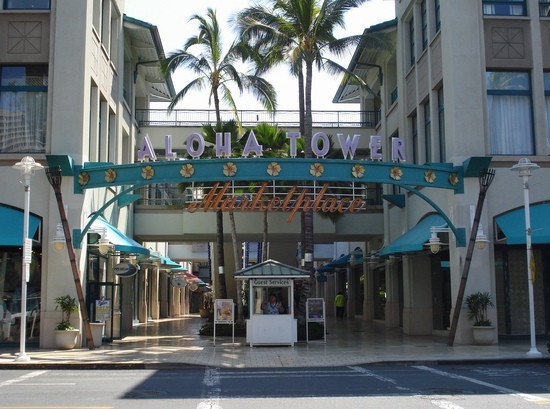 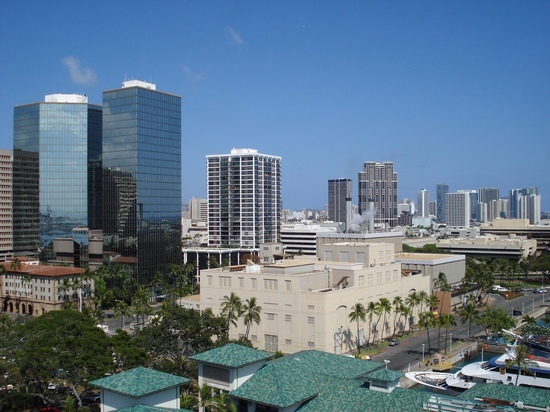 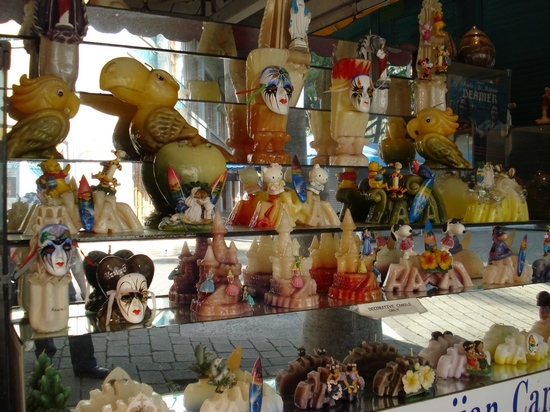 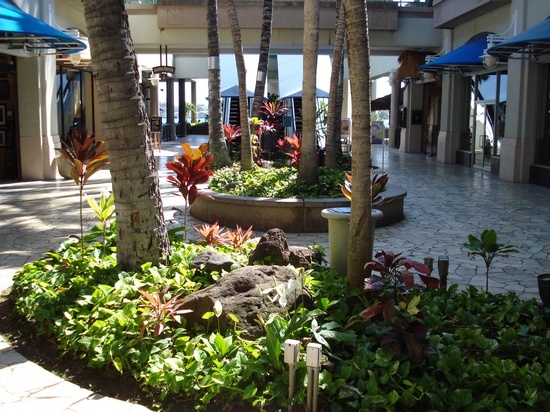 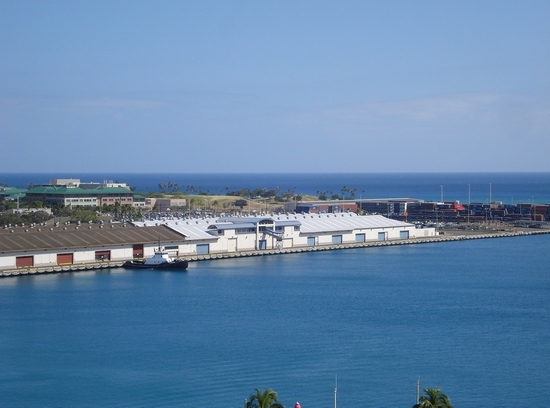 Aloha Tower Marketplace–a collection of shops and restaurants, as well as live entertainment–is a stone’s throw from the Tower. 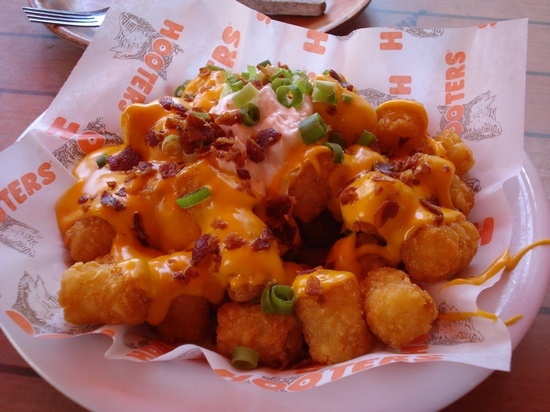 We ate lunch at Hooters (slim pickings as far as restaurants). 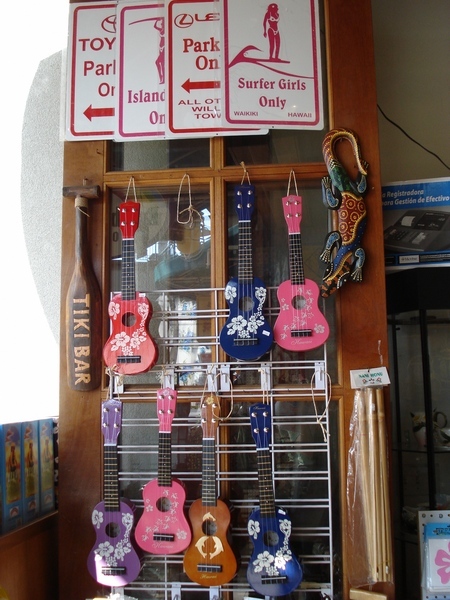 I couldn’t wait to do a little window shopping. 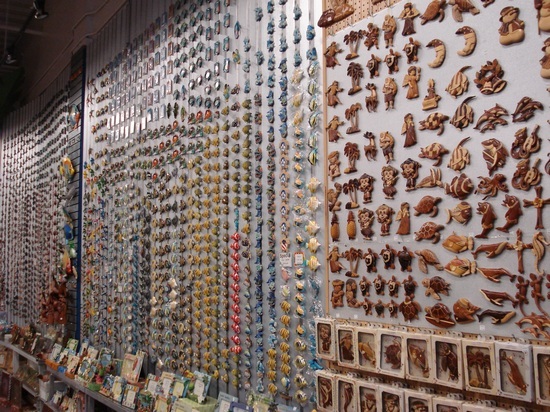 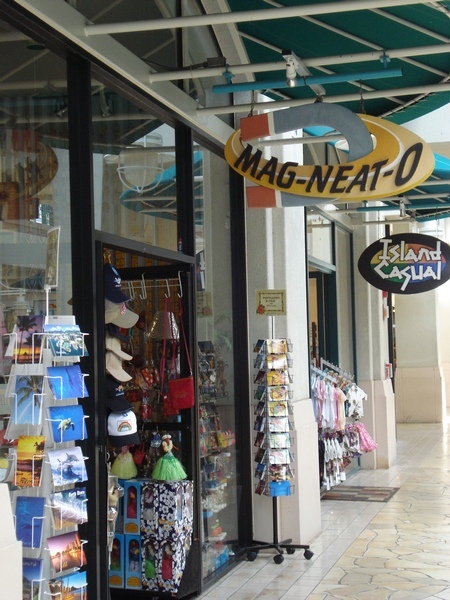 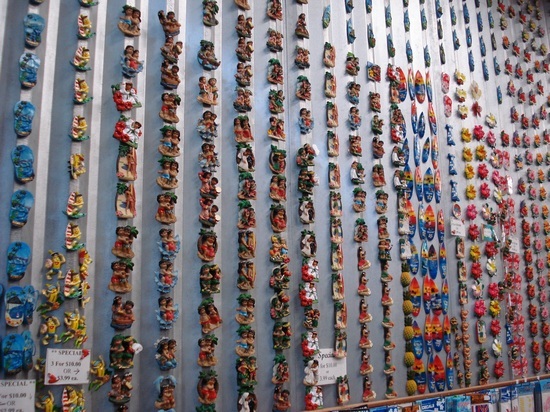 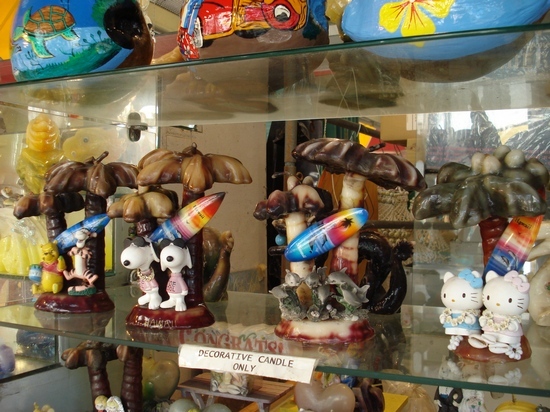 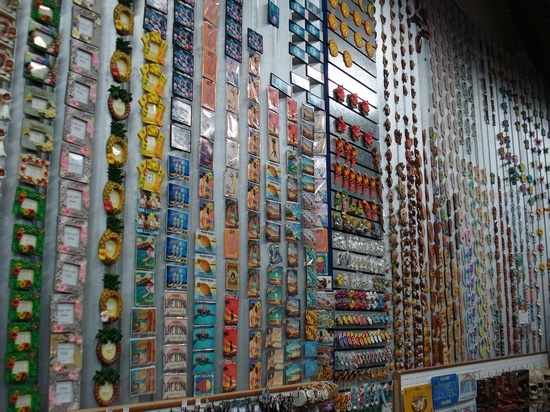 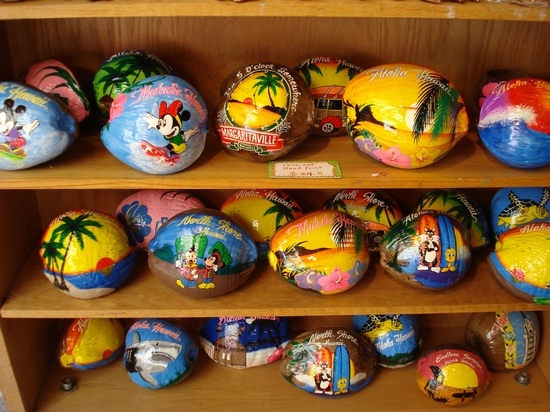 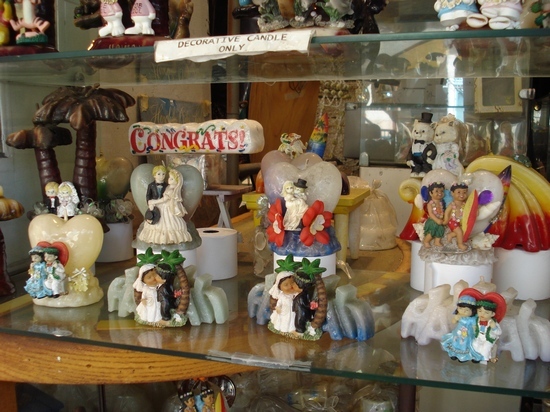 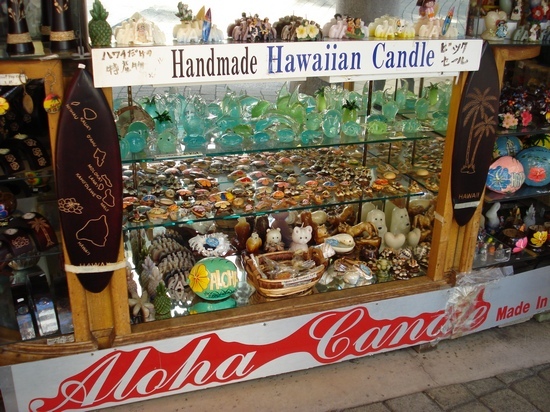 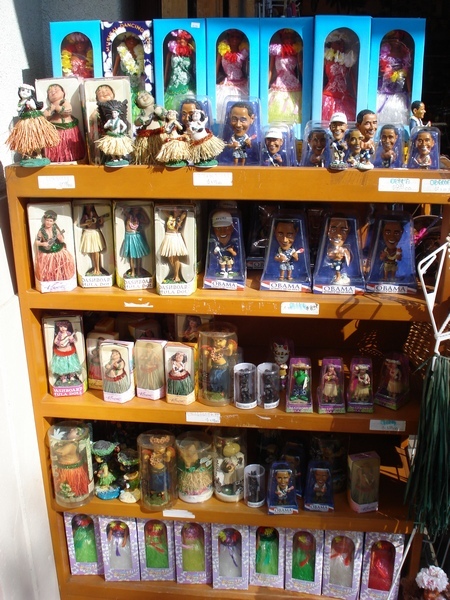 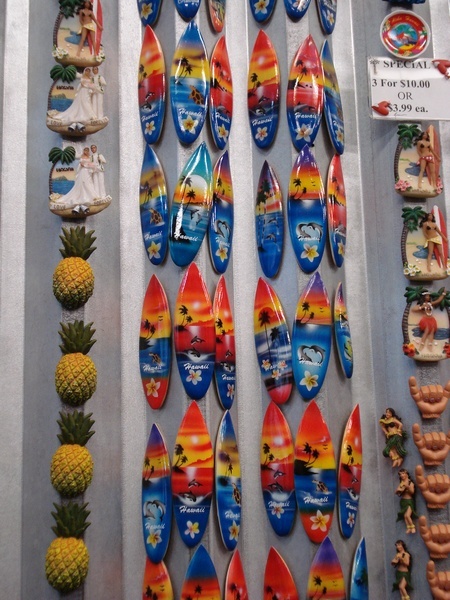 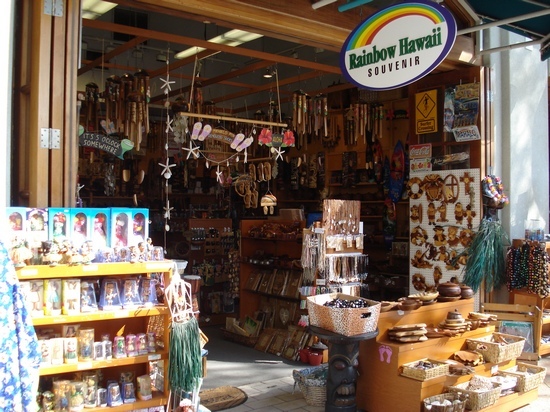 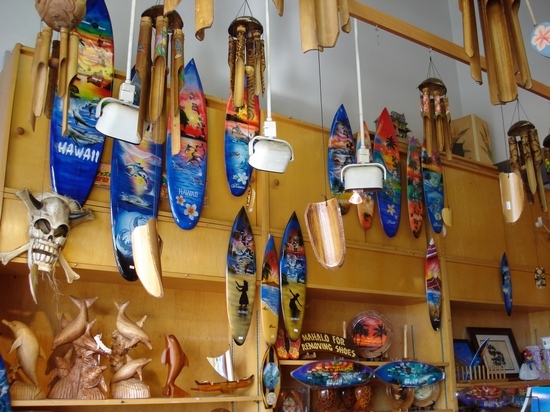 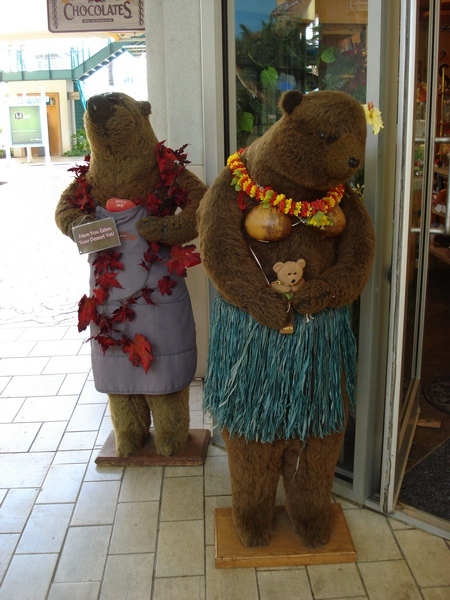 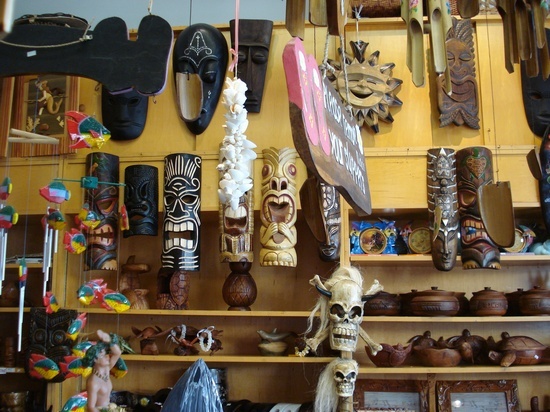 I had put together a list of Hawaiian-themed stores beforehand, but sadly, half of ’em were no longer in business. 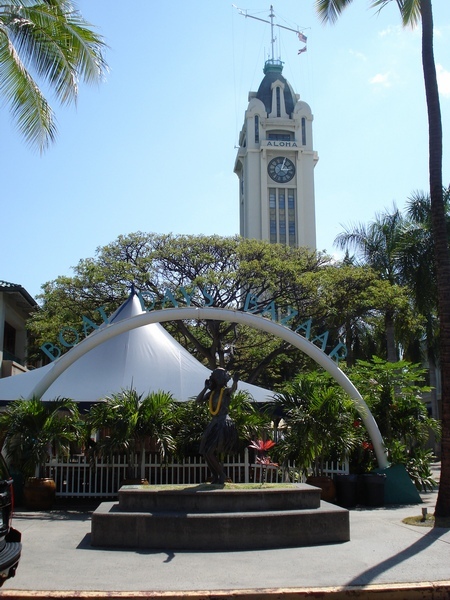 Our Walking Tour of Historic Honolulu is next.